Should we elect cats rather than politicians? In today’s ever more interlinked and fast-moving world, politicians of all political colours or persuasions frequently seem to be cat-napping on the job - detached, out of touch and less and less capable of addressing people’s needs. It’s therefore reassuring to know that just a short hop from the mother of parliaments, a growing band of quite hairy office holders are bucking the trend. There are currently five cats in various UK government departments, recruited after staff and politicians complained, not about yet another Brexit-related conundrum, but something a little more tangible and perhaps even scarier - a rampant mouse and rat problem. King of the political cats is Larry, a brown and white tabby, twelve years old and now a rather handsome elder statesman. 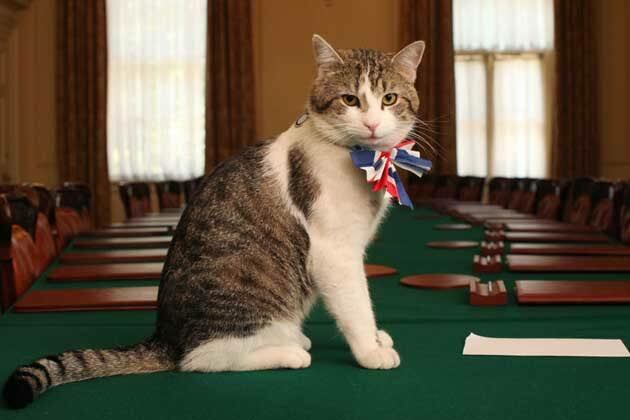 Before inadvertently assuming office in a balmy and pre-Brexit 2011, Larry was a stray. He was plucked from political obscurity by Downing Street staff who rescued him from perhaps the mother of all animal rescue organisations, Battersea Cats and Dogs Home. Without the need for any party room chicanery and with little fanfare, Larry was appointed the Prime Minister’s Chief Mouser. Not only was Larry parachuted into the heart of politics, rubbing shoulders with a visiting Barack Obama and stealing the ham from his sandwiches, he found himself occupying an extremely desirable home in the heart of Westminster with round the clock police protection. As Theresa May gamely clings on to power in the face of almost daily Brexit-induced challenges and vitriol from one source or another, Larry seems utterly oblivious to the increasing mayhem and angst enveloping his embattled tin-opener. Indeed, Larry continues to bask in a warm glow of mass popularity, affection and, yes, trust that he will faithfully do what he is employed to do, commodities that most twenty first century politicians, wherever in the world they ply their trade, can only dream of. Larry’s rescuer, Battersea Cats and Dogs Home,welcomed its first stray dog over 150 years ago, in 1860, and since then has re-homed more than three million animals; an amazing achievement and testament to its unwavering vision that every dog and cat should live in a home where they are treated with love, care and respect. That mission statement should perhaps resonate more in the human world, including the world of politics, than it currently does and would perhaps go some way to restoring the public’s faith in governments and revolving door politicians. Theresa May’s Chief Mouser, and all currently or formerly homeless cats around the globe, would doubtless agree. In 2012, Battersea Cats and Dogs Home revealed that Larry's popularity had resulted in a surge of 15% more people adopting cats. No wonder he’s still in office. 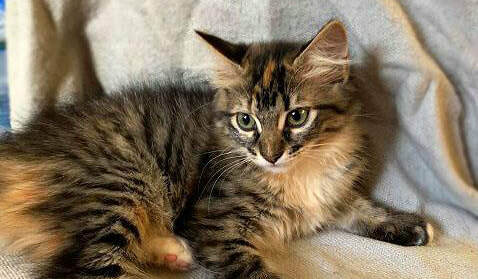 ​All tabbies, from ginger, black and grey to striped and spotted, have wonderful eyeliner markings around their eyes. They also have a distinctive “M” on their foreheads, like our lovely Lily (pictured), Have you ever wondered how they got there? The word ‘tabby’ comes from the Arabic word ‘attabiya’, a striped silk that was similar to the cat’s markings. The pattern of a cat’s stripes, and the distinctive M markings on a tabby cat’s forehead, is determined by it’s genetics. However that isn’t as interesting as how us humans have made our feline friends’ markings part of our story, and theirs. There are several religious stories about the origin of their unique facial markings. Some believe that the “M” stands for Mau, the Ancient Egyptian word for “cat”. Since cats were revered in Ancient Egypt, it’s certainly possible. There were three cat-headed goddesses: Mafdet, Bastet, and Sekhmet. The goddess Mut was depicted as a cat or in the company of cats. Ra, the Sun God of Ancient Egypt, was represented as a cat in the Egyptian Book of the Dead. Christians believed that when baby Jesus was crying in his crib, a cat climbed into the manger, purred, and sent him off to sleep. As thanks, Mary gave the cat the “M” from the first letter of her name. 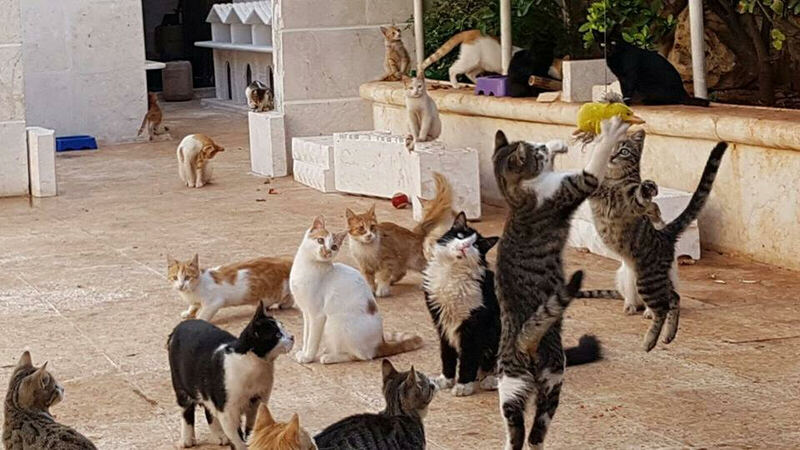 In Islam, the prophet Muhammad was known as a cat lover. He bestowed the “M” on his feline friends when he rested his hand on the brow of his favourite cat. An alternative Islamic story is that the tabby cat, called Muezza, saved his Mohammad’s life by killing a snake. In non-religious circles, though, it’s believed that the “M” are frown lines. The sheer concentration of watching mouse holes until a mouse emerged marked Felis catusforever on their foreheads. The tabby cat isn’t a fancy breed, but it’s true you can recognise one: the “M” has it. Happy new year! Generally, around this time we look at our lives and think of ways we can improve ourselves in the post-sugar high of Christmas and champagne. Instead of the usual sweeping character changes that don’t last past Australia Day, be inspired by our foster kitties to make some positive lifestyle changes you can probably keep. Take the time to do what you love…. Kittens like Sprocket and Widget know all the good things in life - playing, eating snacks and teasing other people (and dogs)! Jobs are and always will be there, so take the moment to enjoy yourself. Cats are all about living in the moment, like Ed, who knows the best sunbaking spots and the glories of napping. Nothing is as important as relaxing for peace of mind. Cats love a good pat, but they also know when they’ve had enough of a good thing, and they will give a little nip to let you know. Pay attention to yourself and don’t be afraid to say no. They say curiosity killed the cat, but the curious cat also gets the snacks, and first dibs on the new toys. Freya knows you don’t always have to please other people to still be gorgeous. Focus on the happy things in life. Take the time to cuddle, to love unconditionally and to connect with family and friends. And have a fantastic and fulfilling 2019! Timid Siamese cross Opie has had a very rough start to life. After coming into care with FFARQ in late 2016, Opie pulled a Houdini trick and escaped from his foster carer in January 2017. Nearly two years later Opie was found in a local creek bed and surrendered to Kingston Pound, and since October 2018 has been in FFARQ’s care once again. It is entirely uncertain how much contact with humans or regular food he has had during this time on the road. Miraculously enough his health has remained stable and he has suffered no lasting damage. Apart from a little scratch on the nose and being slightly malnourished, the vet gave him a clean bill of health when he was found. Opie is still very timid and anxious, and not trusting humans much. He tolerates human touch when approached very gently and slowly, but will hiss and panic when startled. He is still suspicious and unsure whether humans are a blessing or a threat – currently they bring him lots of food, speak to him nicely and look after him well, but who knows what his previous human encounters were like. 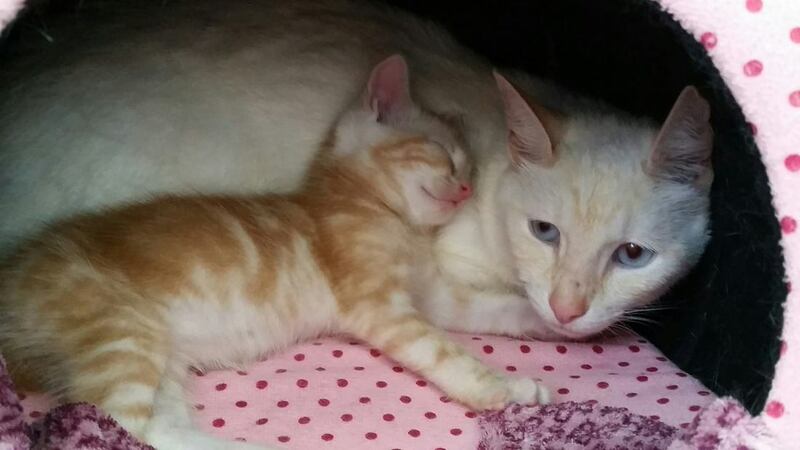 Opie loves the company of his current foster kitten siblings from another mother, who regularly snuggle up to him. At around four years of age he is still a young cat, and is incredibly paternal and protective of his ‘babies’. Opie needs a very special person to adopt him, preferably someone or families (without small children) who have experience with anxious cats. He will require a home where he can slowly get used to his human(s) and be able to regain trust and confidence. Another peaceful and gentle pet in the household for Opie to bond with could be very beneficial, especially a kitten, so they can grow up and old together. Find out more about Opie on our Adopt Us page or follow his story in our Facebook and Instagram posts with #Opie1018. You’ve fallen in love with one of our adorable foster kitties, and you're all set to take them home on the spot. 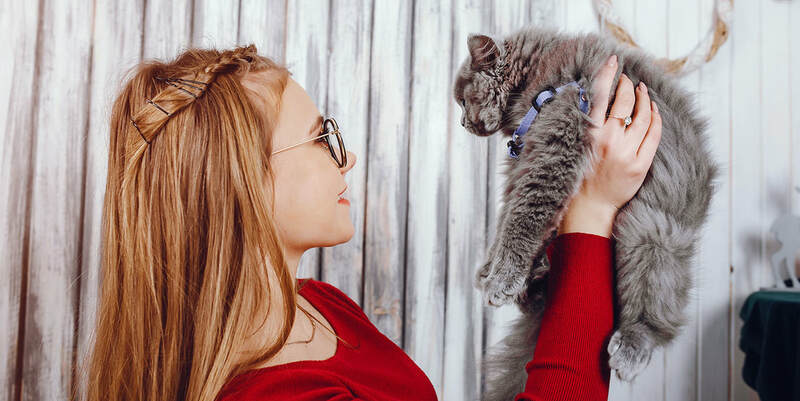 But before you grab that cat carrier, make sure you know what the pet ownership regulations are in your area of Queensland. Queensland is not a cheap place to be a crazy cat lady. Brisbane City Council allows you to keep up to three cats and two dogs without a permit. A kitten is considered a cat at three months of age. There are several restrictions you need to meet to be able to get a pet permit, and it renews annually ($171 per year). Gold Coast Council is even more stringent, allowing you two cats only without a permit, and Ipswich Council allows two cats, or up to four if the property housing them is 2000m2, before you need a permit. Microchipping is a permanent form of electronic identification, where a rice-sized microchip is painlessly implanted under the pet’s skin. The barcode on the chip allows lost cats or dogs to be identified easily whether they have a collar or not. Under State Government laws for pet owners, microchipping is compulsory when you acquire a cat or dog in Queensland. Dogs and cats must be microchipped before the age of 12 weeks. Whenever you move address, you will need to update your details with your microchip registry. Having your pet desexed is not compulsory or enforceable by law. However, all three councils recommend desexing pets as part of being a responsible pet owner. This reduces the overpopulation of cats and protects our native wildlife. It also prevents males from wandering during mating season. During the procedure the vet inserts a small tattoo in the animal’s ear to identify it as being desexed. Many councils offer incentives and subsidies to desex cats and dogs. Councils have a number of fines they enforce to encourage responsible pet ownership. Make sure you are aware of what your local council’s requirements are before you adopt. All of Furry Friends Animal Rescue Queensland's foster cats are adopted fully vaccinated, microchipped and desexed. While everyone loves warm and sunny weather, extreme heat is not a welcome feature of the Australian summer. So how can you keep your furry friends cool and comfortable? Splish splash – it’s easy to dehydrate in heatwaves. 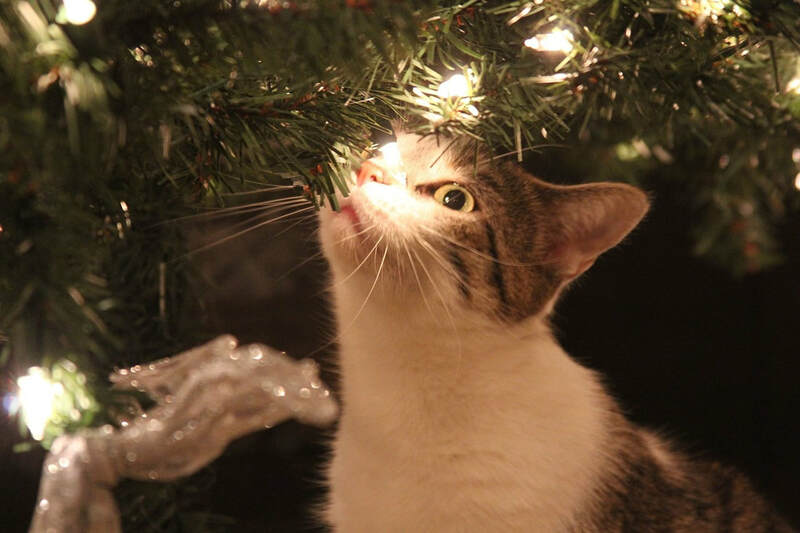 Make sure your cat has access to fresh water at all times, and provide extra bowls in case. Ice cubes in the water bowls will help cool them down. Many cats like drinking running water – consider investing in a water fountain or leave a tap dripping slowly for them to drink from. Freezing canned cat food or tuna into ice cubes will also provide a delicious summer treat. Grooming – matted hair can trap body heat. Make sure you brush your cat frequently in summer to help them shed that extra hair. Brushing with a moist washcloth or paper towel will help cool them down too. If your cat has long hair they may benefit from trimming their belly fur. Limit activity – Exercise will raise your cat’s core temperature. Play with your cat in the early morning or late afternoon, when its cooler. Make a cool room – use a cardboard box to create a dark cool spot for your furbabies to hide in. Line the box with dry towels that have been in the freezer overnight. Include bottles of frozen water in the box. They will act like an evaporative cooler and reduce the air temperature. Distressed and restless; excessive drooling and panting; unsteady on their feet; lethargy; vomiting and fever. Act fast to cool them down if you see any of these symptoms, and take them to your vet if they don’t improve.